This is a game you will want to take advantage of! Don’t worry, I know your first thought will be “Well I don’t have a confetti launcher so I can’t do this game”. No need to fear! We will be coming out with a Build It Yourself soon that will give you the step-by-step of how to make one for under $50 but if you can’t wait until then you can check out this VIDEO. Keep in mind that you can make them to be confetti cannons, t-shirt launchers or candy cannons, so keep an eye out for that project! 1. Confetti Cannon. We will be posting a Build It Yourself soon that will allow you to make your own for pretty cheap! 2. Confetti. You can buy it HERE. You probably guessed it; we got it from Amazon. Who doesn’t love Amazon Prime! 3. Butterfly Nets. You can pick some up at the closest dollar store. This is where the fun comes in. 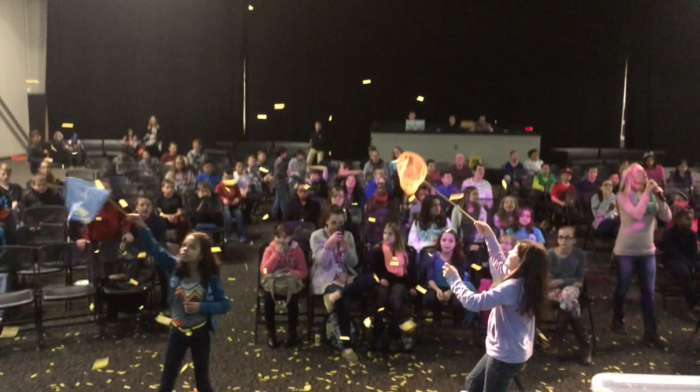 You are going to want to test your confetti cannon to see what PSI you want to compress your cannon to. Multiple tests are always the best way to find out! Some people will use tin foil to cap off the top of the cannon to create more of a pop, and add more pressure. Others will wad up a tissue or paper towel, to place at the bottom of the barrel, to force the confetti out quicker. Try different amounts of confetti, techniques, and PSI levels. You will want to do it on a gym floor, if at all possible, to help with clean up. Once you know your PSI # your are pretty much ready to go! Find 4 lucky competitors and line them up under the confetti launchers. We have two launchers, but you could easily make this work with one. 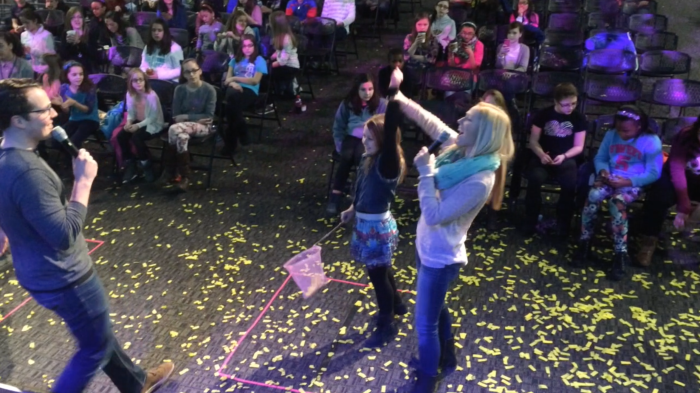 The point of the game is very simple whoever collects the most confetti (aka butterfly’s) in their net wins the game. We played a couple different rounds of guys & girls, only guys, only girls, and only leaders. 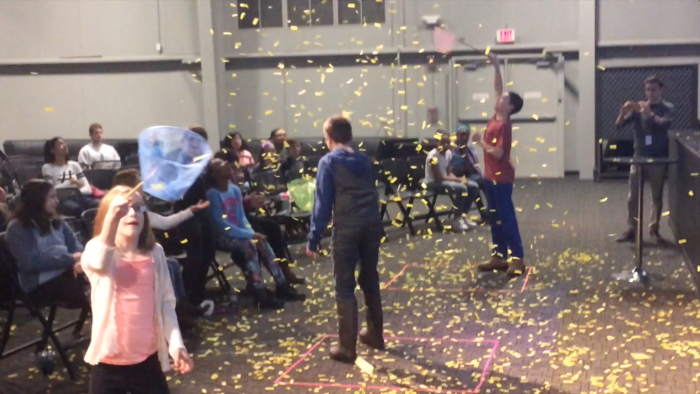 It’s awesome to just see confetti flying everywhere, so why not litter your youth room with a whole bunch of it. Have a blast with this one; it’s a great game and our kids loved it! 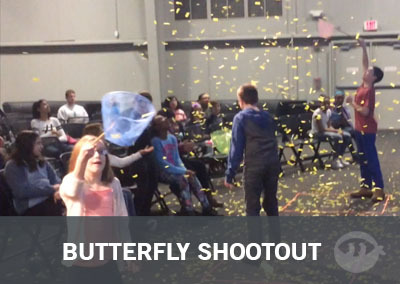 Butterfly Shootout – I am looking for the link on how to build the cannons? It is coming soon! We are working with a volunteer who is a engineer to make sure we give you the safest plan possible for constructing your own cannon! Did the Confetti Canon ever come out?